With all the glamorous team releases over the last few week, we got the feeling, that there is some kind of "team release prototype" if you will. Since we're one of the new additions to the exclusive UCI MTB TEAM club, we figured, why not try to get it right from the start on? You guys let us know, if we used all the right phrases and marketing expressions! Julian Steiner has been riding bikes professionally his entire life. 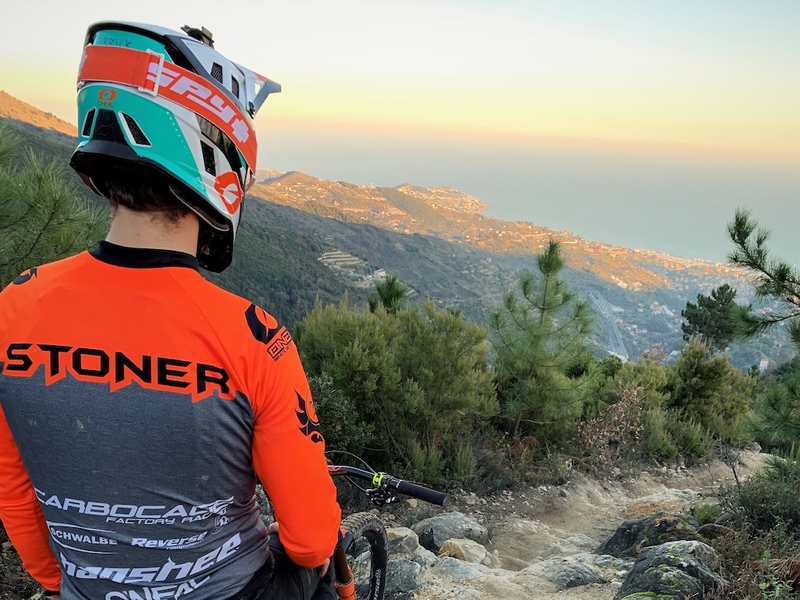 He started out as a BMX racer and was already competing on World Cup level, when he tried riding DH for the first time. Two weeks later he had gotten himself an old bike and signed up for the DH nationals. That was back in 2014 and he’s been climbing the ranks ever since. 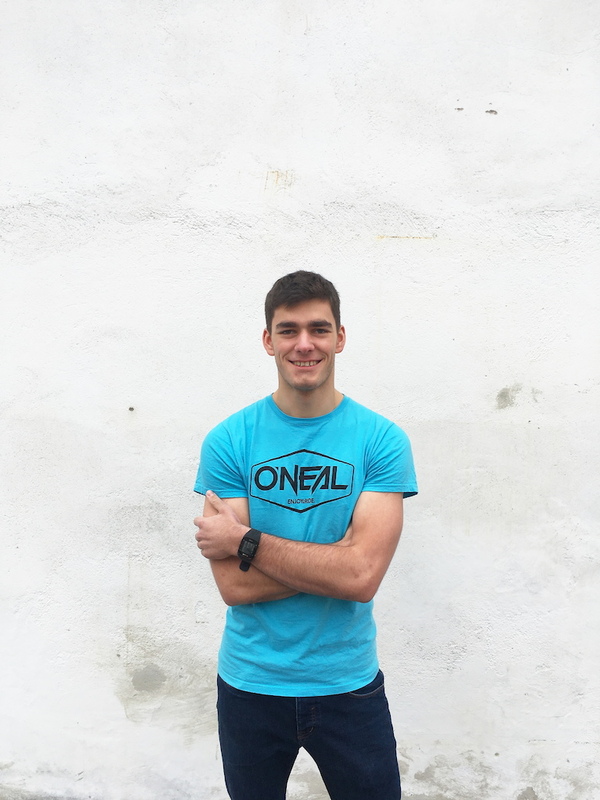 Julian ‘Stoner’ (note: Stoner is the literal translation from German to English of Steiner) is the most dedicated racer we know and whether in the gym or on track – you won’t see this guy at 90%. He finished of last year with a career best 3rd place on the German national series and a Top 10 on the European Downhill cup. Julian has already been on the team last year and he’s definitely looking forward to the next few years of racing! With Simon Maurer we have another rider coming from a personal best season into our team. German junior champ, top 10 junior World Cup finisher and at just 19 years already well known and dreaded across Europe for his superb technique, even on the toughest courses and in the worst conditions. His awesome attitude and ride style is a perfect fit the team and we look forward to working with him. 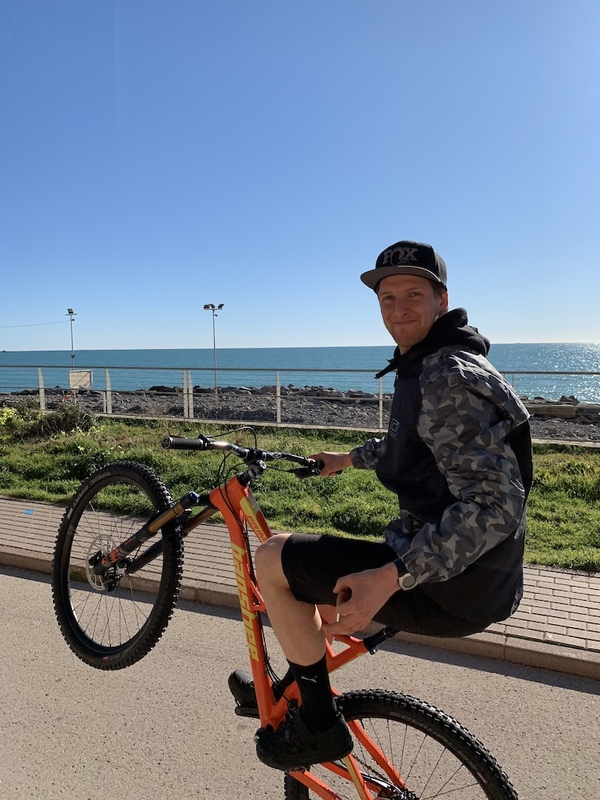 Simon recently started working with German DH legend and World Cup winner Markus Klausmann as his trainer and the results are already visible – he’s training hard and will certainly challenge the world’s best in his first year as an Elite rider. 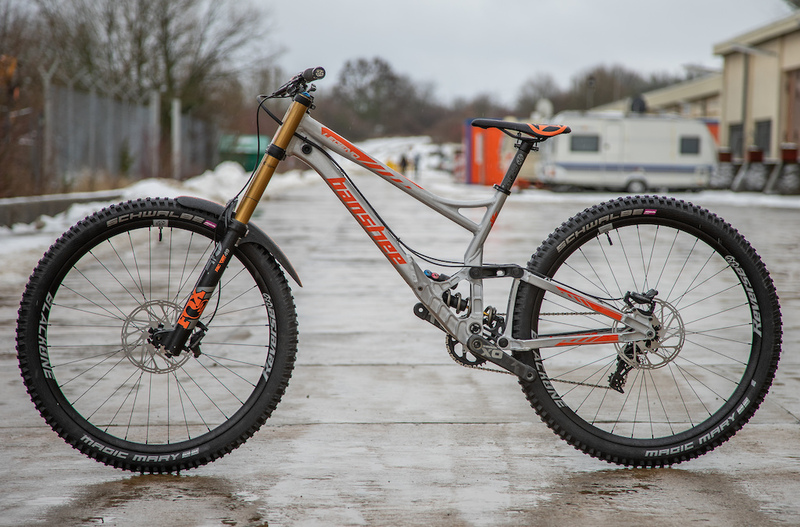 Maximilian Jakubowski aka Mad Max aka Jab Jab already tried himself on the World Cup and the EWS in his junior days and is aiming to get back there this year. 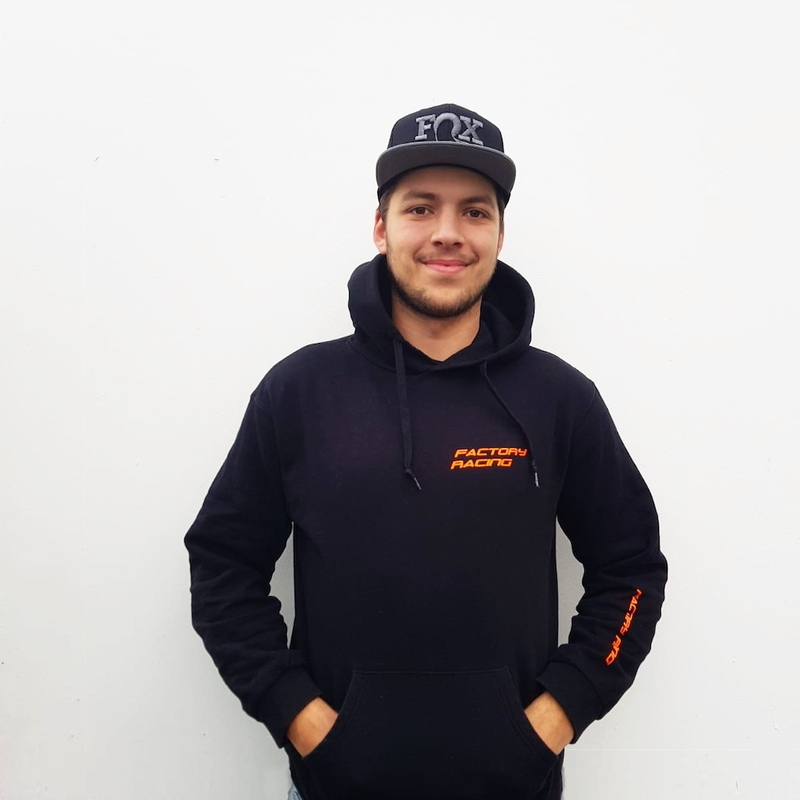 Beside racing, Max puts a lot of effort into university and we’re proud to be able, to support him in a way, he only needs to concentrate on racing & studying. Max has been on riding for Knolly for a couple of years now and is stoked for a fresh start on a completely new setup. We have been close friends with him for years now and know for a fact that he’s fit as hell and always one for the hidden creative lines, so we can’t to see what he has in store for us. Florian Kulike is taking care of management & mechanical support. Florian has been a key figure on the circuit for years and is looking forward to the challenge at hand. “I am excited about the opportunity and the trust that Carbocage and the other partners have put in us. It is a challenging project, but I am sure we will be able to express ourselves at the highest level. We have a great setup and an even better squad!" With Carbocage and Banshee Bikes as our main sponsors and backbones, we were able to take the next step and register as an official UCI team. For us, this is a huge step and taking a big step already, we thought: Why not take two at a time? So, what’s basically necessary for an UCI team? A World Cup sized pit! We’re now proud owners of a 12x7m, so of a make sure to say “Hello” at WC’s and EDC’s – we’re happy to give you a tour. Banshee obviously doesn’t need any introduction: From riders for riders. Usually that one of those marketing phrases you gotta throw into those press releases, but Banshee is living this concept to its fullest. Their bikes have been on the cutting edge of bike performance for 15 years and the new Legend 29 fits right into this tradition. The small company from Canada constantly strives for improvement and we’re honored to help them in doing so. 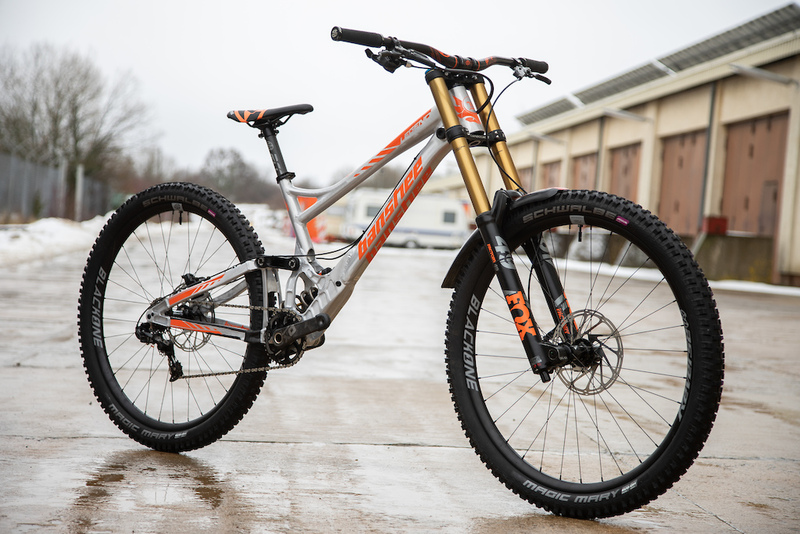 The boys will be riding the Prime 29 Enduro bike and the Legend 29 DH bike. 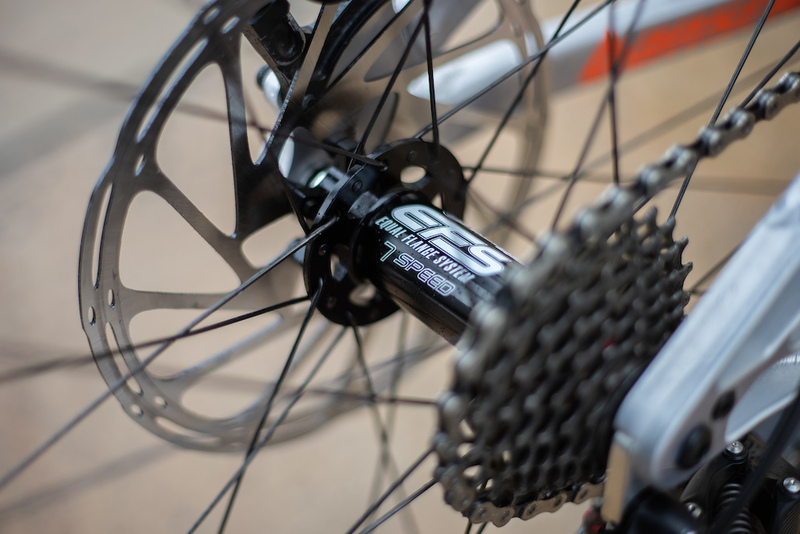 If you want to know more about the bike, Paul Aston recently tested a bike similar to the one, the boys will be riding. Click here to get there. Carbocage represents everything Germany is famous for: quality, innovation and a healthy interest in cold beer. This lovely combination seems to be their secret, because their chainguides have yet to find competition when it comes to strength and lightweight. We’ve absolutely enjoyed working with them in 2018 and we plan to keep it that way in 2019! 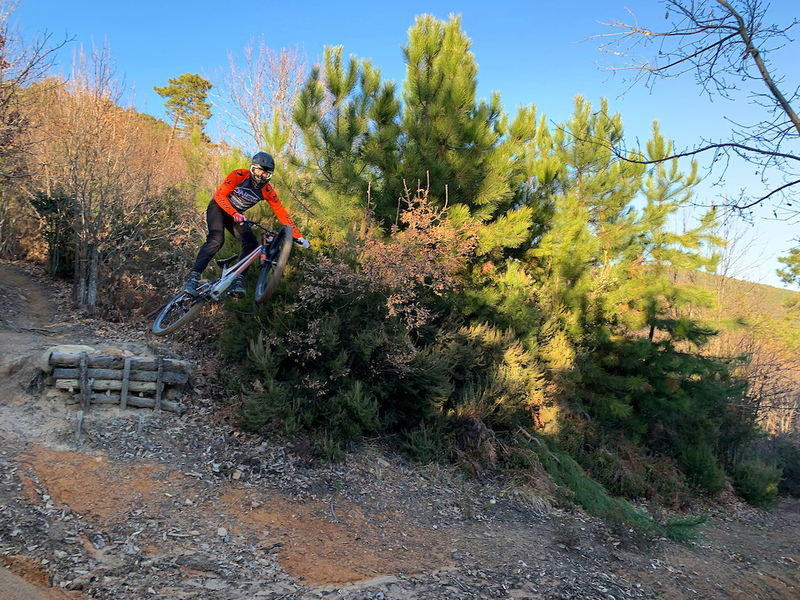 While Max is still recovering from a broken thumb, Julian and Simon already went to San Remo last weekend in order to make the first steps towards a perfectly dialled setup before our first race in April. Did we miss any of the Top10 marketing phrases? Let us know below! @Zuman: if I see a mini legend with short stays, I'm ready! Please bring in Matt black, raw or oil slick hideousness. 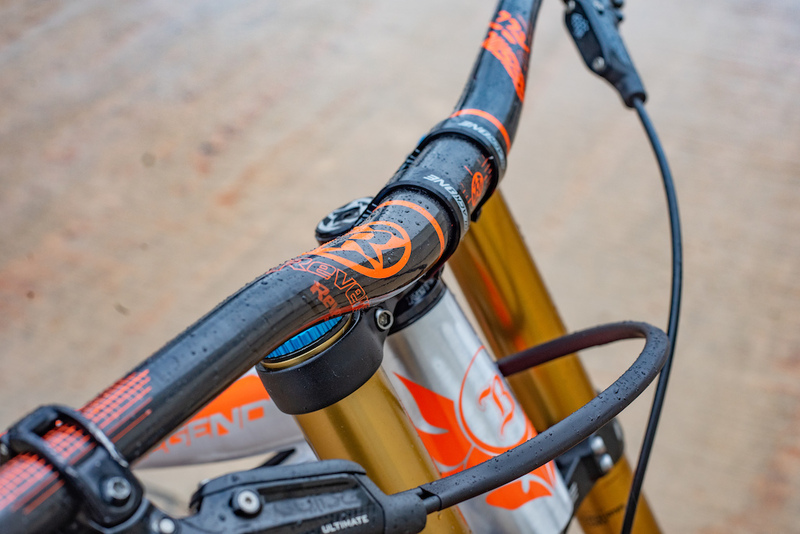 @sethius: Personally think only a minimal tweak on the spitty is needed, a bit longer front and a bit slacker HA, steeper SA, and most important of all a bottle cage inside the frame. Color wise, I want the anodized candy apple green from the legend a couple of years back. @Zuman: mini legend sounds much more exciting! That green is rad, I just have new build kit here waiting for a frame to strike me, the one I want is never on sale. Ever. Period. killing me. @sethius: why not just get a darkside? My company is called SAR or Super Alloy Racing, not SA Springs. glad to be helping the lads out this year I think it will be a great season. So Steiner, Weed and Beer are the coolest last names in MTB. Silva's got the coolest first name tho. @colincolin: Hahaha. Well, I beg to differ. 'Kaos' has got the greatest first name ever. Im interested to know what spine pad stoner was wearing in that picture? it looks like it had great coverage! Also whats the head angle on that legend? @CarbocageFactoryRacing: Thanks! Wish you all the best this WC season ! Fat thumbs... just wanted to upvote your comment... it is always nice to see manufacturers, riders or teams responding to questions. I always wondered why Germany had/has so little World Cup riders. Big country, MTB is big, lots of (small) bike parks. And the Alps are relatively close for half the population. Weird... but maybe that is about to change now Good luck guys! Amazing milestone for Banshee! So many changes and progression underway in this sport! And why Prime for EWS instead of Rune? Carbocage is currently updating their lineup and the team will preview the latest prototype at the Maribor EDC & WC. Could they not have just put last years Carbocage thing on??? The last Stoner i saw is pretty handy on a bike too. Maybe they will name a corner after him. anyone who has ever rode a legend knows: the bikes are fast as f*ck.